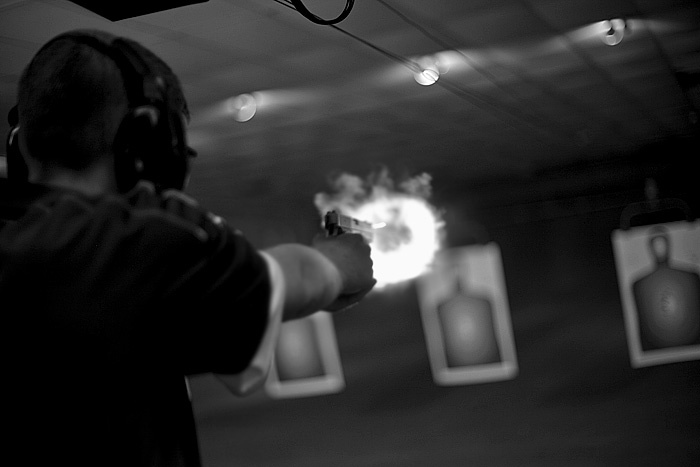 austin kelly, 24, of moberly, mo, fires his .44 caliber pistol on sunday inside the target masters shooting range in columbia, mo during the practical training part of a concealed carry course. austin believes that more people should go through the course and get their concealed carry permit because in that way they would help give a better name to the 2nd amendment. chris and rachel. 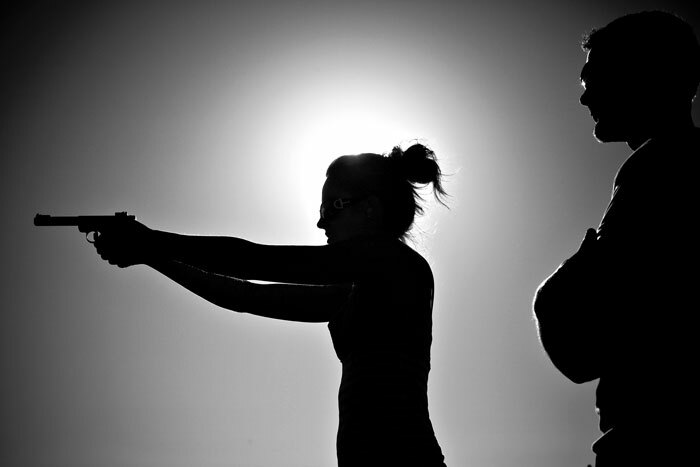 he just obtained his concealed carry permit; she was shooting for the first time, under his supervision.